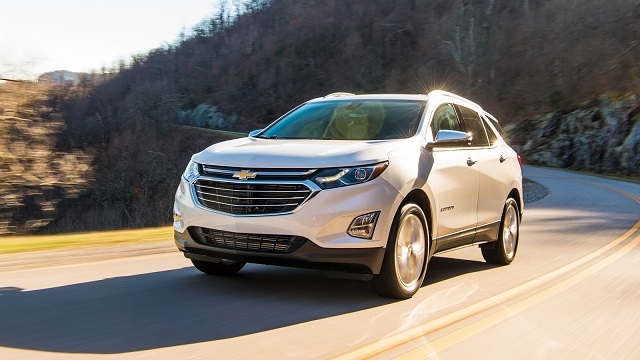 The newest 2020 Chevy Equinox should be available later this year and should bring just some mild upgrades. So, the exterior and interior should get some new colors and color combinations while the choice of engines won’t change. As well, some new features and rearrangement of the equipment are also very likely to happen. Under the hood of the 2020 Chevy Equinox will be available with three types of engines including one diesel option. So, the base is a 1.5-liter turbocharged inline-4 engine. This unit has the output of 170 hp and 203 lb-ft of torque. The engine is mated to a 6-speed automatic transmission and comes with front-wheel drive system as standard. The all-wheel drive layout is optional. Connected to front wheels, it gets 26 mpg in the city and 32 mpg on the highway. The all-wheel drive model will be rated at 25/30 mpg. The next is a 2.0-liter inline-4 turbocharged engine which is able to make 252 horses and 260 pound-feet of torque. It works with a 9-speed automatic gearbox. The FWD model will get 22 mpg in the city and 29 mpg on the highway while the AWD version is rated at 22/28 mpg. The third option is a 1.6-liter inline-4 turbocharged diesel unit. This engine is able to make 137 horsepower and 240 pound-feet of torque. It is paired with a 6-speed automatic transmission. As for the fuel economy, it is estimated to be 28 mpg in the city and 39 mpg on the highway with FWD. The AWD version gets 28 mpg in the city and 338 mpg on the highway. Visually, the 2020 Chevy Equinox has many similarities like its smaller sibling Chevy Traverse, and this time, it should only get one or two new exterior colors. The front end will get a wide, two-tier grille and headlights which in the base model will feature halogen lights, the LT model will get HIDs while the Premier model will come with LED lighting. The Equinox will also be available with roof rails which will give it bolder appearance. The model with 2.0-liter unit will get dual exhaust outlets. The cabin of the 2020 Chevy Equinox should also get one or two new color combinations and perhaps some small changes to the equipment. The two-row seating configuration will be standard and it will be able to welcome up to five passengers. 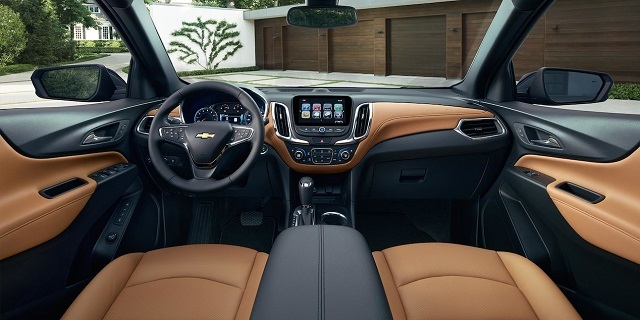 The 2020 Chevy Equinox will come standard with a 7.0-inch touchscreen for the infotainment system, keyless entry, push-button start, Apple CarPlay and Android Auto connectivity, 17-inch wheels, and so on. The higher trim levels will add SiriusXM satellite radio, tinted rear glass, an 8.0-inch touchscreen, dual-zone climate control, navigation, hands-free power tailgate, rear cross-traffic alert, a Bose audio system, etc. The 2020 Chevy Equinox should hit the market in the third quarter of the 2019. Its price will start at around $25,000.